Inicio › Novedades y Articulos › Informes › "The Barcelona" of Erik Limbourg (Brussegem, BE) has done it again! He claims another 5th National Barcelona! "The Barcelona" of Erik Limbourg (Brussegem, BE) has done it again! He claims another 5th National Barcelona! It is difficult to tell whether Erik Limbourg is having his best season ever. And that is not because we are not convinced about his results from the past few weeks. Pretty much every season has been a great success for the grandmaster from Brussegem, who achieves great results almost on a weekly basis, in the longer middle distance, the long distance, as well as the extreme long distance. The annual classic from Barcelona took place last weekend. 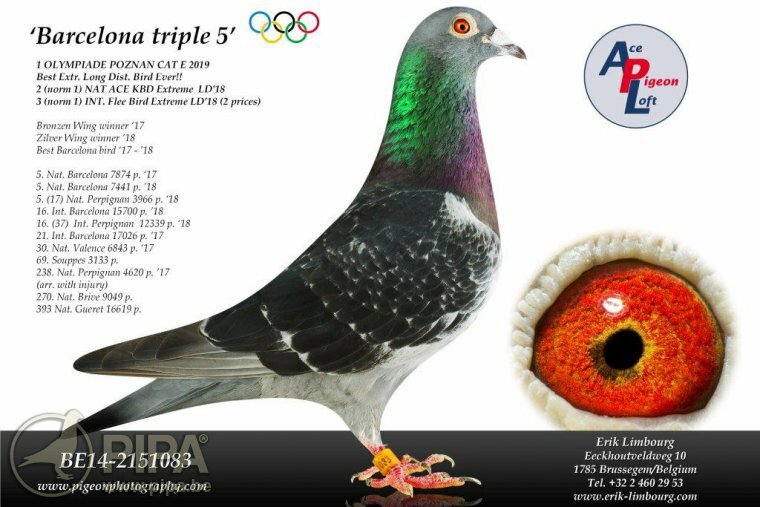 Erik won a 5th national of 7,874 pigeons last year with BE14-2151083 The Barcelona, which was Erik's only pigeon in the race. This pigeon also finished in 21st place international of 17,026 pigeons, while claiming a provincial first prize of 606 birds along the way. The 2018 classic was a demanding race, just like previous year, with just a few birds reaching a speed of more than 900 m/min. And racing bird The Barcelona was again in great form. He was clocked on Sunday, shortly after noon. Judging from the preliminary results, The Barcelona is on his way to claiming another 5th National, now against 7,429 pigeons. This is a brilliant performance from an excellent racing bird! His pedigree is quite phenomenal as well. The sire is a son of the brother of a 2nd National Limoges (Marcel Vandenabeele), and a grandson of Super 209 of the same Marcel Vandenabeele. Super 209 won a 2nd National Irun and a 10th National Pau. 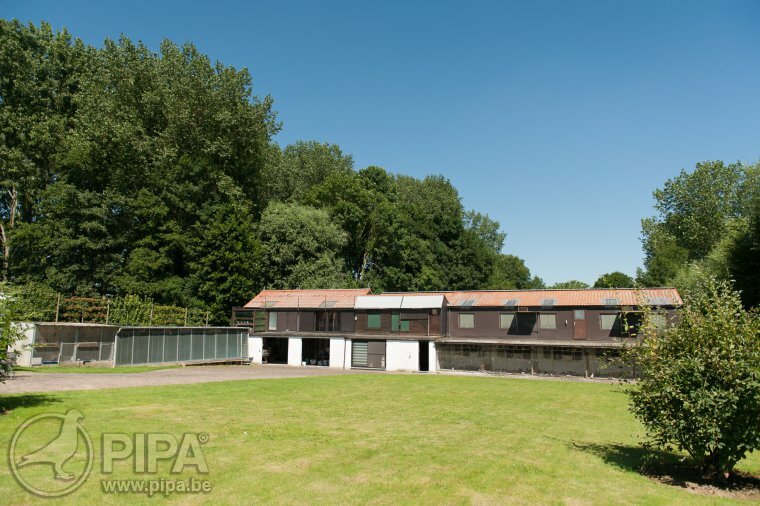 The dam is a sister of Witpen Patron, 1st National Ace Pigeon PIPA Ranking Long Distance and also the dam of Black Magic, 1st International Perpignan of 17,965 pigeons. 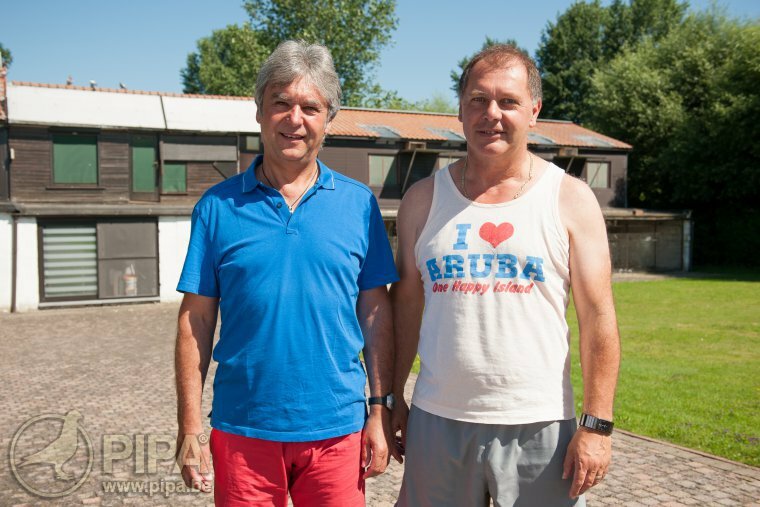 She is also a granddaughter of De Patron of Marcel Aelbrecht, 1st National Ace Pigeon Long Distance KBDB 2003. This is a marvellous pedigree, which you can take a closer look at here. We cannot tell whether this has been the last Barcelona classic for racing bird The Barcelona. There is no denying that this pigeon has put in a truly unique feat that few have done before him. About 99% of all fanciers with such a champion in their collection would not hesitate to transfer this racing bird to the breeding loft, and the same might happen to The Barcelona. And if Erik should decide to keep him aboard the racing team, then everyone will be eager to see if he can deliver again in next year's classic. But like we said, no decision has been made yet. Erik and The Barcelona should first of all enjoy their fantastic result.